Home | Giveaway: Win a HUGE Personalized Bottle Opener Gift Set! Hi, loves! 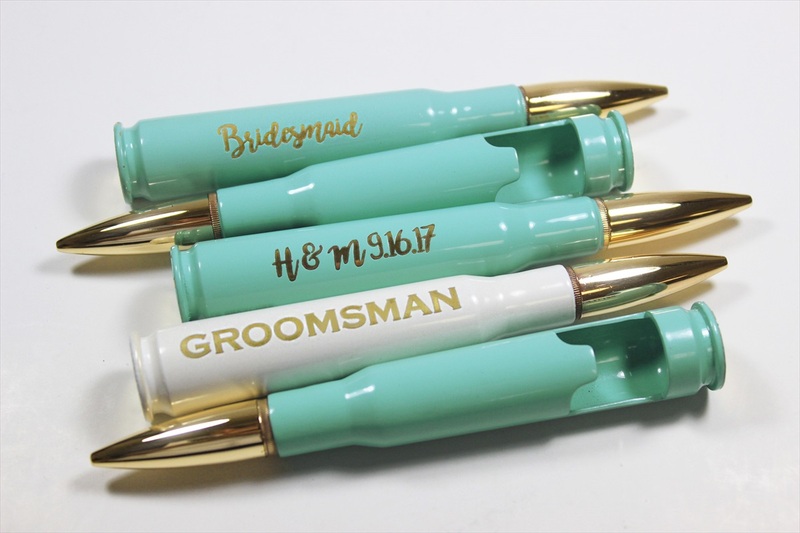 Every couple wants to buy the coolest gifts for their bridesmaids and groomsmen. 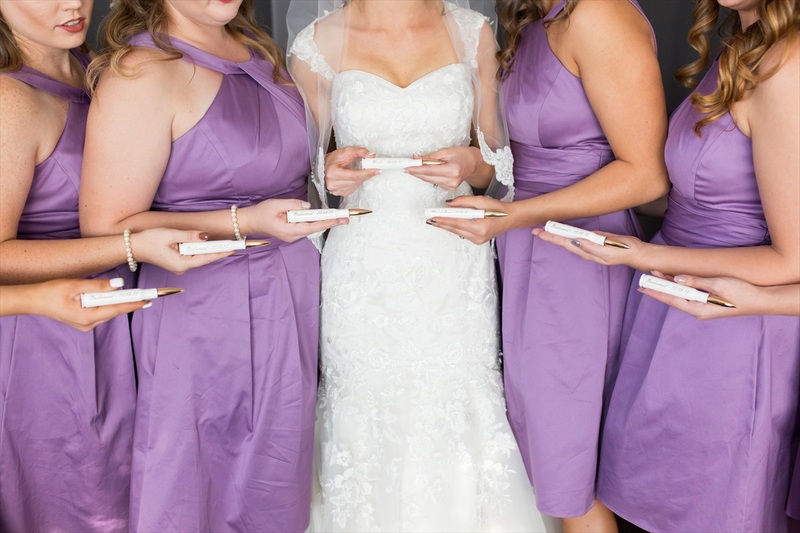 This week, you could win FREE wedding party gifts for your whole crew at Emmaline Bride! The awesome team at Bottle Breacher (you may remember them from Shark Tank — Eli and Jen are amazing!) are giving away a HUGE personalized bottle opener gift set to one lucky reader! 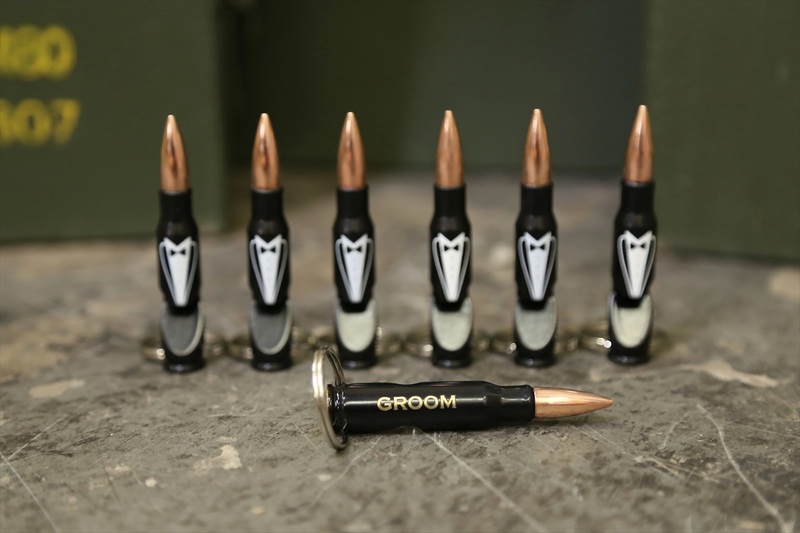 This gift set includes bottle openers for three groomsmen and three bridesmaids. Read on to enter for your chance to win! 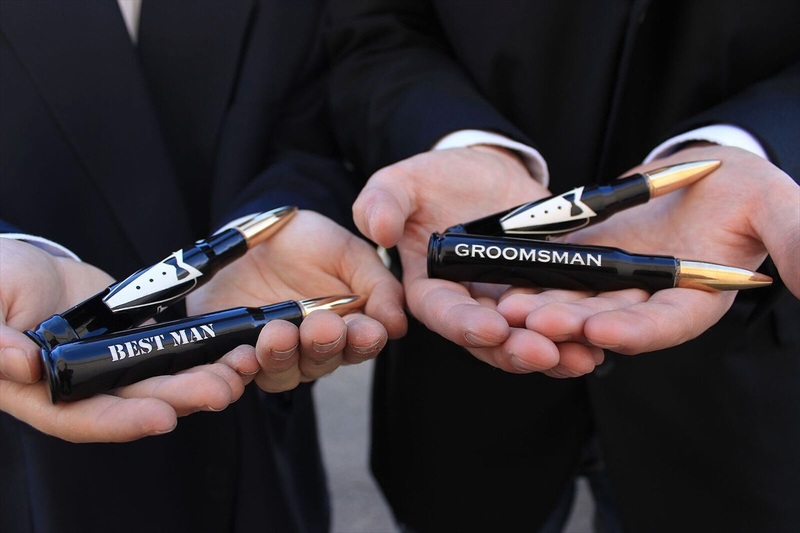 Want to win FREE groomsmen and bridesmaid gifts? Now’s your chance! 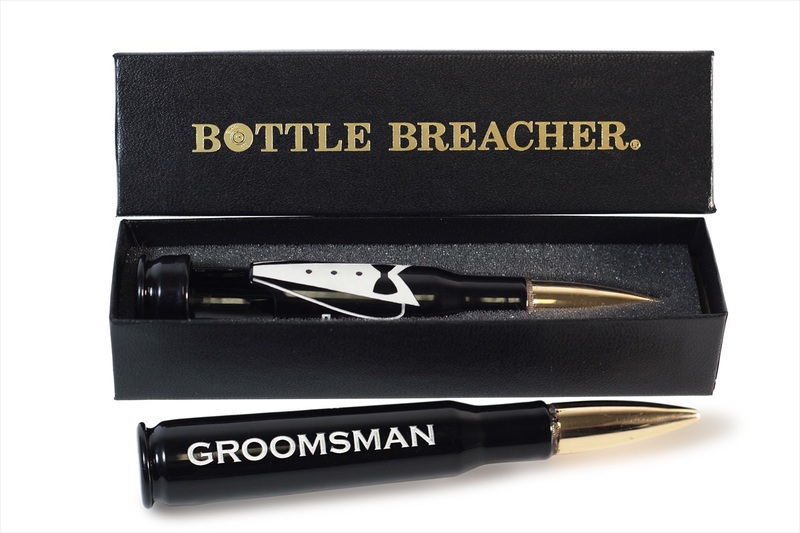 This personalized gift set comes with three tuxedo Bottle Breachers (their signature personalized bottle opener), three tuxedo bottle opener keychains, three bridesmaid Bottle Breachers (in pink, white, or turquoise), and six Bottle Breacher gift boxes. This personalized bottle opener gift set is valued at $250 and even includes FREE shipping to the USA via USPS! That’s a unique gift for your wedding party AND gift boxes included! Win-win. Each personalized bottle opener features your bridesmaid or groomsman’s name etched into its side. 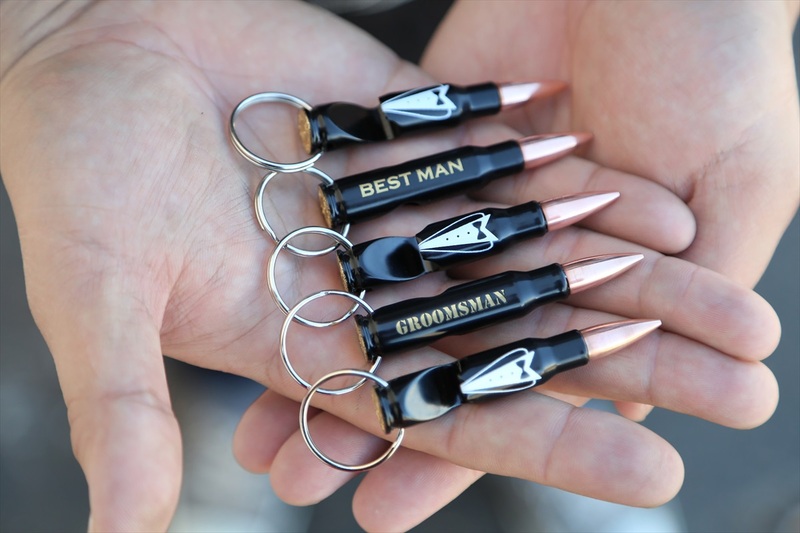 You can also have the bottle openers engraved with “Maid of Honor” or “Best Man”. 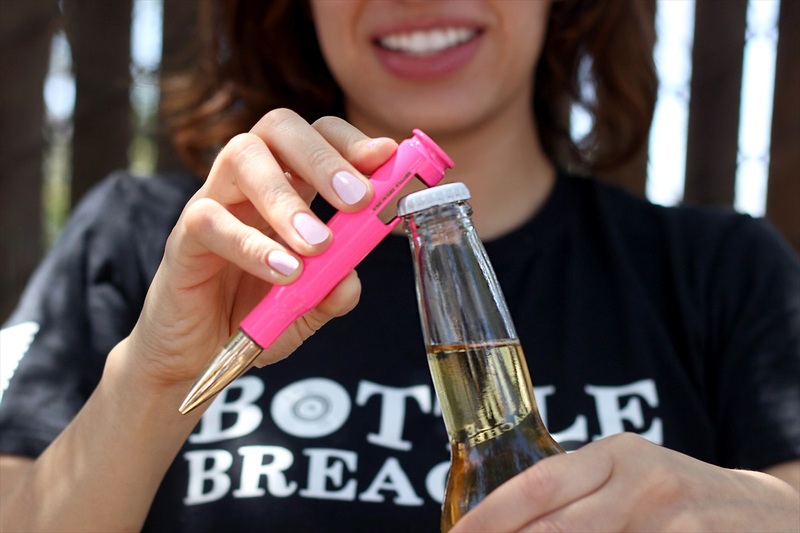 Another reason to love these bottle openers? They’re handmade by US veterans! RELATED: Giveaway: Win a Wedding Silhouette Poster! These are so cool — your wedding party will love them! – Winner will be randomly selected on 3/8/18 and announced on this blog post. Winner will also be notified via email. Winner has 72 business hours to respond to winning email or new winner will be selected. Don’t want to wait? Need a personalized bottle opener gift set right now? 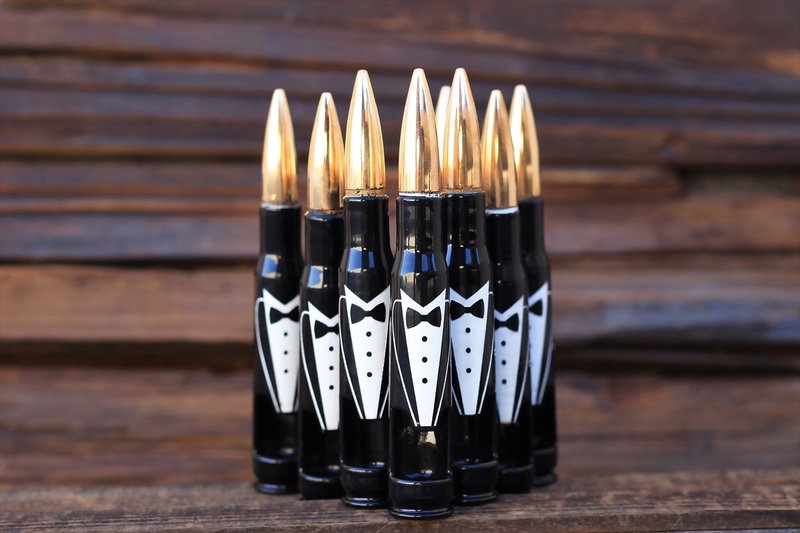 Head over to Bottle Breacher on Etsy or BottleBreacher.com between 3/3-3/5 and take $20 off $75+ with offer code: HITCHED20. Hurry, this is a limited time offer! RELATED: HOLLY JOLLY GIVEAWAY: #5 -- Pearl Drop Earrings! Great site I really respect your service and a great idea.